Then, just as it is now, it is a matter of our Believing and us having Faith. There are many different avenues which this Series has challenged me during the development of it. 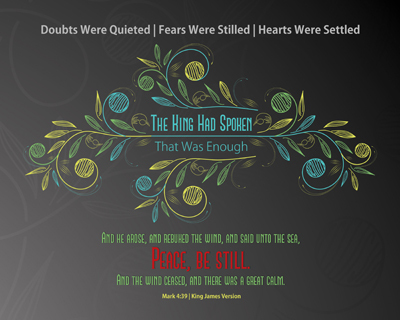 One of those is the phrase “had spoken”, which is used 40 times throughout the Bible. The choice of focusing on the word “Peace” ran deep particularly with me because it is something remembered and called upon during my own times of deepest pain with Cluster Headaches. There are four sets of images in this Series to cover the Theme, Doubts, Fears and Hearts pieces. 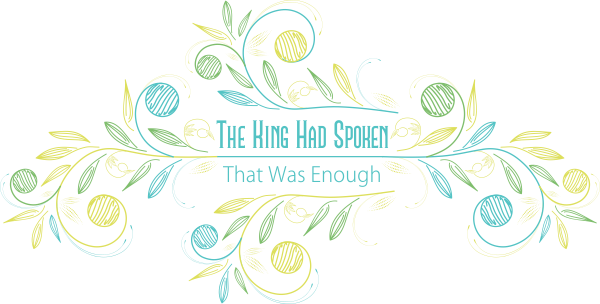 What a lesson we have to learn for each situation we have faced in life, just as those in the Bible we read about today – The King Had Spoken already and That Was Enough!